WE ARE CURRENTLY BOOKED THROUGH MID MARCH 2019 FOR BIRTHDAYS. 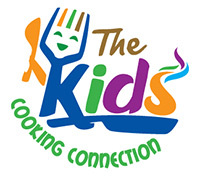 The Kids Cooking Connection will create a birthday party your child will LOVE! 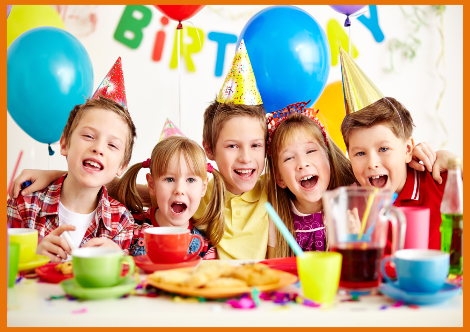 We host birthday parties at ScribbleSpace in Summerport Village. Does your birthday boy or girl love to bake? This birthday party will be one they won’t forget. They will measure, mix and bake their way to tasty desserts made from scratch. - Learn to prepare a cupcake from scratch, ice cream sandwich and a cake pop or chocolate mold party favor. Chocolate or vanilla with butter cream with festive toppings. Inspired by the CHOPPED cooking show. We challenge party goers to use their skill and creativity to come up with unique and tasty recipes. The challenge comes in when we throw two mystery ingredients to teams revealed at the start of the competition for each round. Not to worry, no one is chopped but there will be recognition based on taste, creativity, and presentation. Have your kids never cooked before? Not to worry, this class is designed with instructors that guide and assist for the entire event. This is a timed competition and huge fun for the kids as they have freedom to create and show off their new culinary skills!! All American, Everyone Loves Italian, or Mexican Fiesta. In all our classes and birthdays, we use premium ingredients. Please fill out the form below or contact us at kcctracy@gmail.com. We will respond within 24 hours. **Due to a high volume of requests, we ask that you allow 4-6 weeks prior to your event to lock in your space. Last minute requests may not be available due to space and instructor availability. Please be advised that although we will try to accommodate for allergies if we can, this class or birthday is not recommended for kids with severe allergies. We must have allergy notifications at least 2 weeks prior to the event. Our recipes may contain, wheat, peanuts, tree nuts, dairy and eggs.